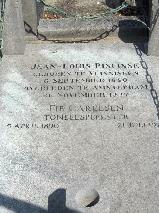 Jean Louis Pisuisse went to Amsterdam when he was twenty years old and there he worked as a journalist. In 1903 he married Jacoba Smit. In 1907 he toured with his collegue Max Blokzijl through the Netherlands, disguised as Italian street singers. It started as a joke but it ended with an illutrated booklet about the project. Between 1908 and 1913 the couple travelled around the world. He divorced Jacoba in 1912 and in 1913 he married the actress Fie Carelsen, whom he had first met in Soerabaja in 1909. Pisuisse decided to be a full time artist, influenced by the cabarets that he saw in Paris. In 1912 he started organising cabaret shows at the Kurhaus in Scheveningen together with Max van Gelder. During the first years Max Blokzijl accompanied him on the piano, but during the war Blokzijl was called to arms and he was replaced by Jan Hemsing and in 1922 by Henk Stuurop. In 1925 he divorced Fie and he married the Belgian singer Jenny Gilliams in 1927. He had engaged her in 1919 for his ensemble and by 1920 they had a daughter, Jenneke. But Gilliams conducted an affair with a new member of the company, Tjakko Kuiper, in August 1927. She finally decided to stay with her husband, but Kuiper took this so badly that he shot Pisuisse and Jenny on 26 Nov 1927 in Amsterdam before he killed himself. 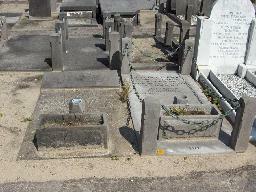 The graves of Jenny Gilliams and J.L. Pisuisse at the Oud Eik en Duinen Cemetery, The Hague. The grave of J.L. Pisuisse and Fie Carelsen at the Oud Eik en Duinen Cemetery, The Hague.